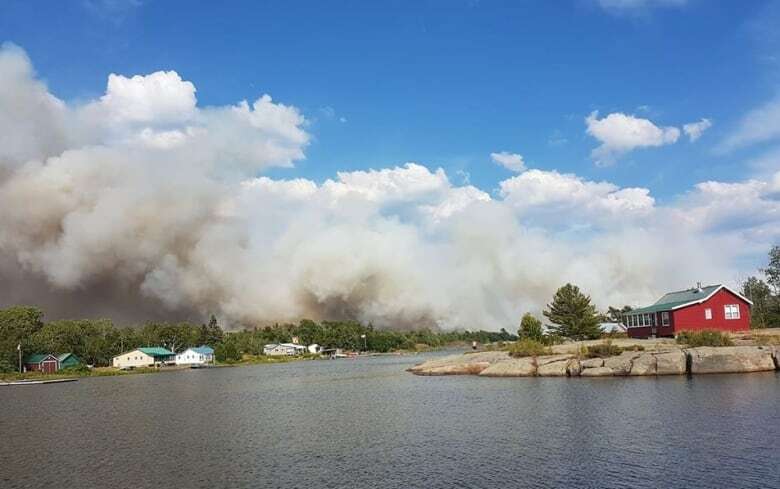 A fire that has prompted the evacuation of more than 50 residents in the northern Ontario community of Key Harbour has grown to nearly 5,000 hectares, according to Ontario's Ministry of Natural Resources and Forestry. 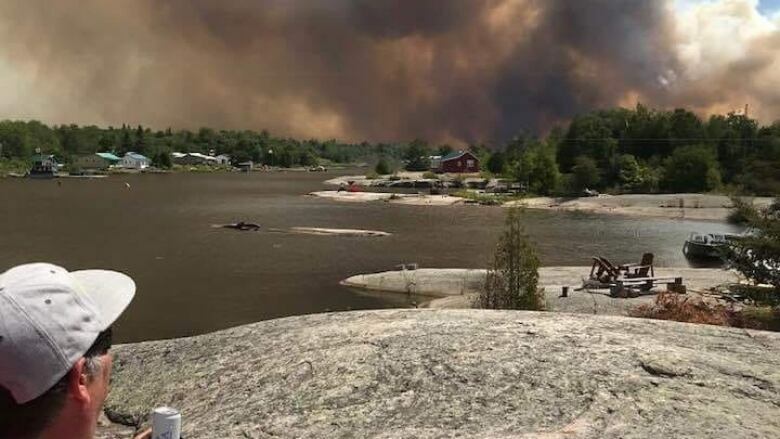 The fire known as Parry Sound 33 more than quadrupled in size Friday to about 19 square kilometres, which prompted the ministry to recommend the mandatory evacuations of the Key Harbour area and the municipality of Killarney south of the French River Provincial Park. The fire has since grown to 48 square kilometres. An additional order was issued Saturday for an area from the western and northern borders of French River Provincial Park, east to the Trans-Canada Highway and as far south as the south shore of the Key River. The order affected all residents whose homes are accessible only by boat. Those with road access were placed on evacuation alert, meaning they had to be ready to leave at a moment's notice if conditions were to change. Provincial police were also "assisting the Henvey Inlet First Nation with an evacuation of their village," according to a release. OPP cautioned those with travel plans in the area to avoid the Trans-Canada, which in that area is designated Highway 69, if possible. 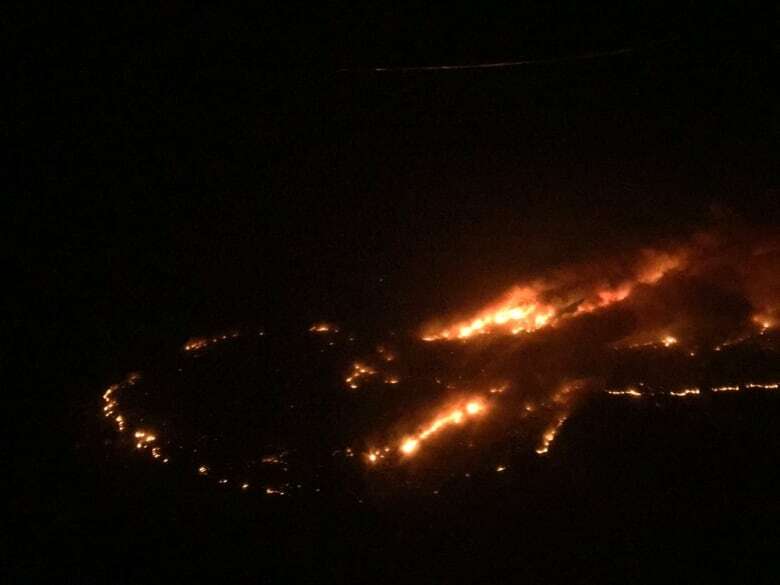 The new fires were ignited by lightning strikes Friday, ministry spokesperson Isabelle Chenard said, adding that it pushed the total number of blazes to at least 65 — 34 of which remain out of control. The municipality of Killarney has declared a state of local emergency. The declaration applies to an area, on the northern shore of Georgian Bay from the Key and Pickerel Rivers to Highway 69, according to Nancy Wirtz, the municipality's deputy mayor. "Our community is devastated at the impact of [the fire] Parry Sound 33," said Jennifer Kivinen, co-president of the Key River Area Association, which represents a group of seasonal and permanent residents in northeastern Georgian Bay. Kivinen said she is at her cottage on the north of the French River and can see the smoke and damage caused by the forest fires on the other side of the park. "The impact is huge environmentally," she said. "It is extremely sad if we lose our cottage," she added. "But I just want everyone to be safe." Key River "is a tight-knit community who has and will continue to assist each other whenever and wherever possible," said Kivinen, mentioning that some people have opened their doors to evacuees. "The minute that we don't feel safe anymore we will leave the cottage," Kivinen said. "We will play it by ear." Chenard said dense smoke from fires in northeastern Ontario had forced the closure of Highway 17, a section of the Trans Canada highway, at Powell Lake Trail, east of Bissett Creek on Friday and again on Saturday. As of 2:30 p.m. ET, the highway has since reopened. Those fires are burning north of Pembroke and there is further fire activity near Temagami and Sudbury. Inhaling smoke can be quite dangerous, according to the government of Canada's website. Fine particles in the smoke can penetrate deep into the lungs and can lead to serious health effects, particularly for small children, pregnant women, the elderly and those with lung and heart conditions. Dozens of aircraft — both planes and helicopters — are being employed to battle the fires, and Ontario crews are also getting help on the ground from firefighters who've come from across Canada, as well as the United States and Mexico, to lend a hand. The ministry is asking people to stay away from water bombers and to refrain from flying drones within nine kilometres of a forest fire. Wind gusts were expected later Saturday, Chenard said, which could worsen the fire. But she noted fire crews on the ground and in the air work from the early afternoon until dark and are dropping water on the fire.